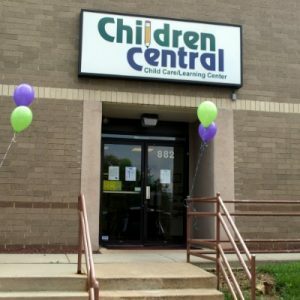 Children Central offers an outstanding Children's Day Care Program. We are proud to be incorporating the popular research based HighReach Learning curriculum throughout our school. HighReach is aligned with the PA early learning standards. What this means is that in every classroom, the children are learning what their age group is expected to know at their age and a whole lot more, as we have very high expectations for our students and teachers. You will see the weekly lesson plan posted in each classroom, starting with the infant room. HighReach Learning curriculum is based on knowledge of theory and research in early childhood education, coupled with an understanding of valued best practices. Our preschool curriculum incorporates experiences that permit learning through guided play and active discovery. In developing our curriculum, we consider the whole child – cognitively, socially, and physically. 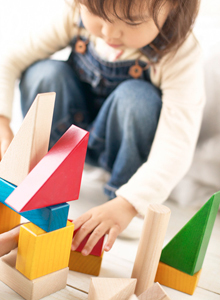 By incorporating the latest research on early childhood, including Piaget’s Constructivist Theory, Bruner’s Theory of Discovery Learning, Bergen’s Theory of Play, active exploration, and the most current NAEYC Developmentally Appropriate Practice Guidelines, HighReach Learning has created a truly balanced, innovative, and interest-driven curriculum for children birth to five. Reaching & Relating: A Guide for Early Learning Programs provides the foundation for planning experiences, relationships, and a warm supportive learning environment for children ages birth to five. A comprehensive overview of early childhood best practices. Easy-to-follow guidance from theory to practice. Implementation Checklists to assist in developing high-quality learning environments. 220 pages of evidence-based strategies. 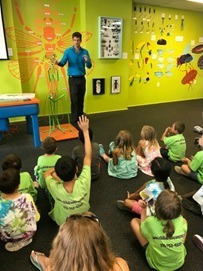 HighReach Learning believes that children learn best by actively engaging with people and things in their environment. Children are involved in hands-on experiences, real-life adventures, and assisted discovery as they explore concepts through play. We also focus on helping you, the early childhood educator, meet the growing list of challenges you face every day: meeting policy and standards guidelines, improving communication with families, adapting to the individual needs of your children, creating a stimulating and fun learning environment, and much more. All of our curriculum programs promote early childhood best practices, provide a detailed concept web, and simplify lesson planning. The core of the HighReach Learning curriculum philosophy is Teaching and Interacting with Purpose Using Learning Zones. Helping teachers focus on learning approaches that can be developed during any type of experience or interaction, the Learning Zones take advantage of the back and forth interaction between teachers and children throughout the day. Explore our Learning Zones! You know and understand phrases like relationship-based, interest driven, integrated experiences, differentiated instruction, intentionality, and others, but do you wonder how to turn those "big ideas" into easy-to-understand and easy-to-accomplish strategies that can be used every single day in the classroom? Every HighReach Learning curriculum program is designed to help you tackle these big ideas. Relationship-based — Learning grows out of positive social-emotional environments and from the connections made with the people in them. HighReach takes special care to provide guidance within each experience as well as support materials that help establish vital connections between adults and children and between families and staff. Interest Driven — Let HighReach show you some very simple steps that help you gather background knowledge and child input on the topic you are planning to study. Using a K-W-L (Know-Want to Know-Learned) or R-E-I (Relate-Explore and Expand-Inspire) process, you will learn how to guide your teaching to adapt to children's interests and build on their existing knowledge. Integrated Experiences — The best learning experiences occur when a child is immersed in a "big idea" and the daily plans encourage deep explorations that encompass multiple domains. Rather than using multiple isolated activities like some other programs, all HighReach topics are based on detailed concept webs and provide more than 100 multi-domain experiences to choose from. Differentiated Instruction — Every child has unique needs and interests; this shouldn't require you to spend hours each week finding dozens of experiences just to accommodate these differences. Each HighReach Learning experience contains detailed objectives from multiple domains. Imagine being able to take a group of children through an exploration in which some may focus on literacy outcomes, while others concentrate on math or science. Intentionality — Once you are equipped with the right tools, it becomes much easier to be intentional in your interactions with your children. Using the comprehensive learning objectives listed in every experiences guide, you can include daily activities from the main topic that will enable you to purposefully guide the learning in your classroom and meet the observation and assessment goals for each child. Finally, a comprehensive curriculum that is flexible and easy to use. HighReach Learning curriculum provides a unique balance of standards-based classroom support materials, family connection components, and easy-to-understand strategies for putting it all together. Best of all, the complete multi-domain objectives list allows you to easily connect with any major assessment tool. Use HighReach Learning as a supplemental resource or as a stand-alone curriculum solution. Either way, you and your children will be glad you did!